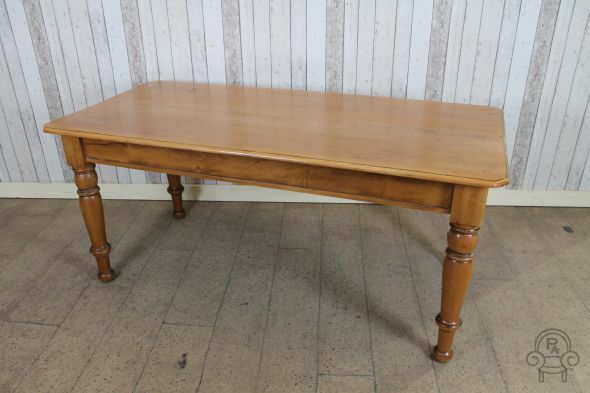 A traditional solid pine Victorian table manufactured in classic yellow pine. This table has been recently acquired from a local clearance where the previous owner had it professionally stripped and re-polished in a high quality lacquer. This table is extremely hard wearing and ideal for kitchen use. As you can clearly see from the photos, the table did have some woodworm, but this is well and truly dead. With the small holes and damage which has occurred on the table, this adds further charm and character to this useful Victorian kitchen table.